I read this article and found it very interesting, thought it might be something for you. The article is called My Top Android Apps Of 2013 and is located at https://www.ben-johnston.co.uk/top-android-apps-2013/. This blog’s going to be undergoing some changes in the New Year – no, not another redesign (hopefully), but I’m going to make a concerted effort to blog more frequently, which means that there will be a greater breadth of topics and less of the in-depth “how to” stuff that I’ve been doing for the last couple of years. As much fun as posts like that are to write, they take ages to upload and I don’t really have the time to promote them properly, so the time spent writing and uploading them isn’t overly well invested. With that in mind, and the end of the year looming, I thought I’d start today. I use a lot of apps on my Android devices; I have a Nexus 4 phone and a Motorola Xoom tablet and, since I don’t have a laptop, they both get a lot of use when I’m on the move. From working, checking Twitter, making sure I remember things, watching films or TV shows and varying degrees of other stuff, there’s an app for almost everything I need to do, which is very handy. 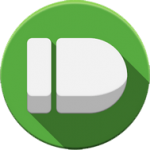 This one’s a fairly new discovery for me, but Pushbullet is brilliant and has been getting a lot of use at work and at home since I found out about it. 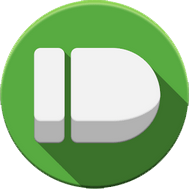 The concept behind it is pretty basic, but it works so well that you may well find it to be a lifesaver: essentially, after installing the app and the Chrome or Firefox extension, Pushbullet will send all your phone’s notifications over to your computer, popping up in the bottom corner of your screen. Why’s this handy? Firstly, it means you can actually work without needing to stop to check your phone every fifteen minutes (not that I do that). You can also see who’s calling, texting or emailing you without needing to take your phone out of your pocket or reaching for it every time it vibrates, meaning you can be a bit more discerning with your notifications. I spoke about cutting down on notifications a bit here and, truthfully, since getting the Nexus (and finding it impossible to stop Gmail causing the phone to vibrate), I’ve slipped a bit. Pushbullet has helped with that. 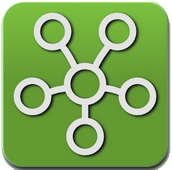 This free app has loads of other useful features and is well worth checking out. I do quite a bit of mind mapping in my work. It helps me plan stuff out, whether it’s a blog post, a new document or idea for work or even how I’m going to make my site’s homepage look next time I start messing around with it. I’ve used a few mind mapping apps over the last few years, but SchematicMind has been the winner this year, purely due to its flexibility. Changing the colour scheme, the layout, the positioning of different nodes and pretty much everything else about your map is really easy. There’s no premium version, so there are ads on it and there’s no picture-file export function, which is a bit irritating, but a screenshot and a few seconds in Photoshop usually sees to that. Those minor irritations aside, the app is great and I would gladly pay for it if it added that functionality. 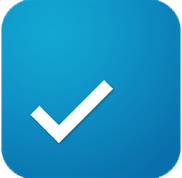 I’ve used a lot of task list apps, but Any.do has won my heart this year. The combination of a handy Chrome extension which syncs with my phone and tablet, its beautifully minimal design and overall ease of use has made this my to-do app of 2013. When I’m running a task list app, I want to spend more time completing my tasks and checking them off than I do messing around with the app and that’s what Any.do lets me do. That said, I find the “Moment” function a bit annoying due to the incessant popups. Still, it’s easily disabled and, once that’s switched off, it makes the app the best task list I’ve used so far. It’s also free and is heartily recommended. 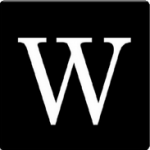 I’m a big fan of Ommwriter on PC for those times when I just want to write something and don’t want to get distracted by other things, and the Writer app brings a similar experience to my Android tablet. The minimal UI and the responsiveness it brings to the writing experience compared to a lot of other apps which lag a bit makes it perfect for writing just about anything on an Android tablet, especially if you’re like me and tend to bash stuff out on the train journey with your iPod blaring. Guess what: it’s also free and has no ads. I can’t recommend this app highly enough. 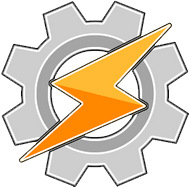 Tasker is a really clever app that lets you automate pretty much any aspect of your Android device. The easiest way to explain it is to call it a kind of IFTTT for your phone – for example, “If I open Maps, automatically turn on my GPS”, or “If it’s 22:45, switch to Silent”. There’s so much that this app is capable of that I really haven’t even scratched the surface yet, but I’m a big fan. Have a look here for some really useful actions that can be done with this. These are my favourites and the ones that have had the most use this year. What are yours? Anything I’ve missed? Any I need to check out? Let me know in the comments.